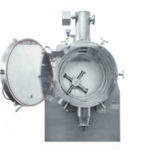 Italvacuum is one of the best-known European manufacturers of vacuum dryers and vacuum pumps for the chemical, pharmaceutical and cosmetics industries. Thanks to more than 75 years of experience, Italvacuum has developed a wide range of original and patented products, that comply with the main European regulations (EC, ATEX and PED) and with the increasingly severe FDA rules and cGMP norms. Planex System is a multi-patented technology designed to overcome the limits of traditional paddle vacuum dryers. The technology is based on a revolutionary philosophy of working, and is suitable for the production of APIs and fine chemicals. Added-value of Planex System is the eccentric agitator with two independent movements, that can simultaneously revolve around its own axis and rotate tangentially to the drying chamber. As a result, even delicate and temperature-sensitive products are treated with maximum care. The Planex System control software allows automatic command of the agitator movements with the Stop and Swing program. 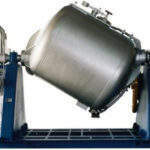 The agitator swings back and forth, remaining immersed in the product at all times, and guaranteeing continuous mixing, which is particularly effective when processing small batches. 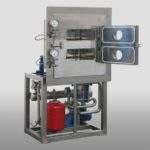 In addition, Planex System, due to its agitator’s ZeroFriction planetary movement, prevents the product from being rubbed against the drying chamber walls and heating up due to friction, a typical problem in conventional paddle systems. 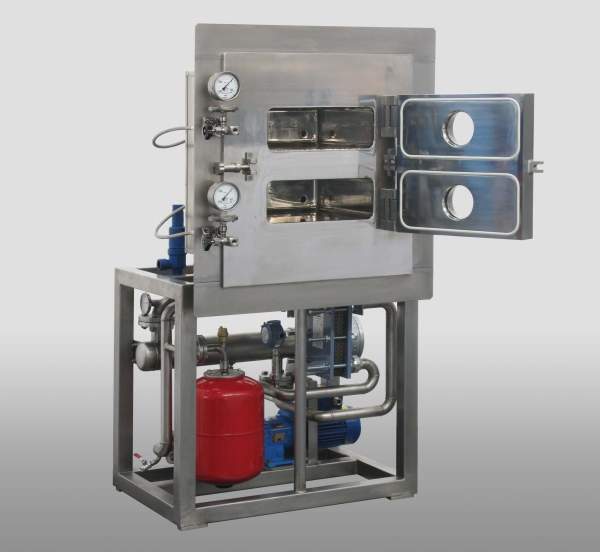 Rotation of the paddles tangentially to the chamber walls conveys the product into the small clearance between the agitator and the chamber surface, preventing lumps formation. It also guarantees effective drying and a controlled final particle size distribution, which is impossible to achieve with conventional paddle dryers. CRIOX System, an international patent with more than 400 units operating in more than 30 countries, is a multi-product dryer capable of total extraction of all types of solvents from the wet powders coming from filtering or centrifuge. The central body is made of a double cone, characterised by soft lines. During the system rotation, this structure helps the continuous revolution of the mass and allows a homogenous and delicate mixing. 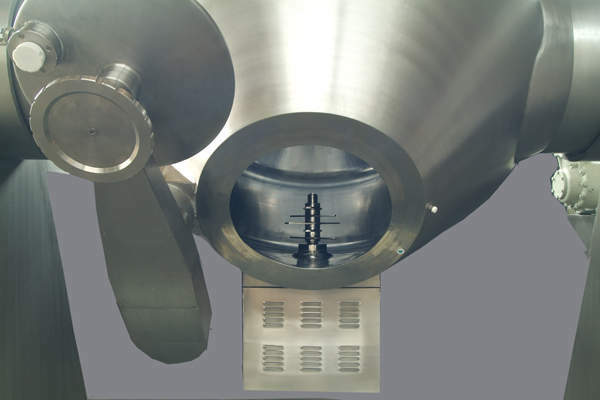 Within the drying chamber there are two electric lump-breakers that not only break the eventual pre-existing agglomerates in the wet powders thus preventing the forming of lumps, moreover they also allow for grinding and powdering during the last drying phase, limiting and in some cases avoiding the use of the mill. 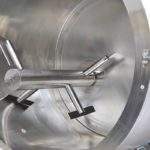 This helps having bulk products ready for bagging or powders with checked final particle size distribution, where the next operation is often limited to a sifting phase. The mechanical action of the chamber and the lump-breakers allow the surface of the product exposed to evaporation to be increased and therefore the vacuum drying is carried out in a very short time and with a temperature much lower than in any other dryer. Specific solutions have been developed for automatic loading and unloading and also in order to wash and inspect the plant before changing the type of batch. The MULTISPRAY® Cabinet Dryer consist of a cabinet and a series of shelves heated through the circulation of fluid. The drying chamber is also heated in order to avoid condensation.The qualities that characterize MULTISPRAY® vacuum tray dryer are best results, ergonomics, safety and flexibility for any product batch. 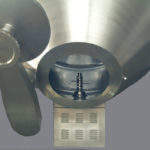 But that’s not all, because the important added value that differentiates MULTISPRAY® innovative dryer from conventional systems is that it guarantees total cleanliness of the inner chamber and all heating plates, in compliance with the increasingly restrictive FDA standards and the cGMP standards of good manufacturing. In fact, thanks to the CIP MULTISPRAY® patented fast washing system, the equipment can be completely cleaned in just a few minutes, in a repeatable and certifiable way, minimising washing liquid consumption. 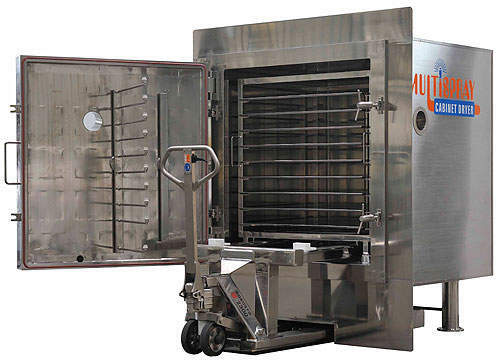 MULTISPRAY® vacuum tray dryers can be used in any type of application as there are two versions available, fixed plate and extractable plate, the latter particularly indicated for multiproduct usage. In the extractable shelves version Italvacuum designed a special stainless-steel hydraulic trolley able to lift the shelves frame, ensuring a fast removal without efforts for the operators (no tracks are present inside the cabinet). CosmoDry System comprises a horizontal paddle vacuum dryer, which is equipped with a concentric agitator, and fitted with a heated shaft that is dismountable in different sections. These features ensure easy internal cleaning, maintenance and inspection. It also reduces machine stops during changeover from one product batch to another, setting it apart from conventional paddle vacuum dryers. In addition, special features of the agitator profile enable continual product stirring. Mechanical and thermal stress can be also limited, making CosmoDry System an ideal solution for treating thermo-sensitive products. The TUMBLE Dryer range of rotary cylindrical vacuum dryers is designed for drying, mixing and condensing operations in the manufacture of granulated plastic materials: chips, beads, slices, pellets, scraps, etc. 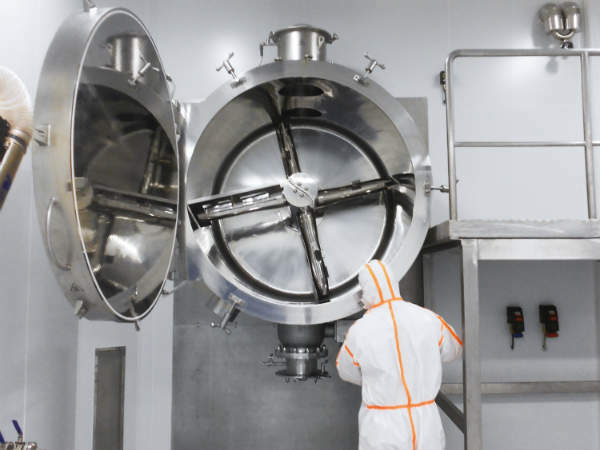 LaboDry vacuum tray drying ovens are suitable for the production of highly active pharmaceutical ingredients (high-potency API) and for R&D activity. 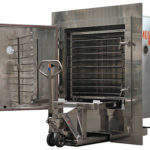 Featuring separate cells construction with skid-mounted auxiliary accessories, these dryers are designed for glove box installation. For what concerns the materials in contact with the product, LaboDry can be manufactured in AISI 316L (1.4404), AISI 904L (1.4539) and ALLOY C-22 (2.4602). Saurus939 is a simply designed machine, that combines traditional robustness and reliability with the most evolved technology. Ensuring total recovery of extracted solvents, even in severe operating conditions. Vacuum level up to 0,03mbar. Furthermore, Saurus939 has no fear of aggressive and corrosive solvents, powders and condensates, nor distillation by-products. But above all it does not fear confrontation because it is designed and manufactured to work 24 hours a day with minimum operating costs, thanks to a low-energy motor, oil consumption virtually eliminated with Lubrizero® System and easy, immediate maintenance. Powerful, efficient, but absolutely safe: Saurus939 guarantees optimum safety through the whole process and complete purity of the final product. In other words, ensures an uncontaminated vacuum, as certified by a recent analysis issued by Politecnico di Torino². Italvacuum is pleased to announced its participation at POWTECH, a leading trade fair for processing, analysis, and handling of powder and bulk solids. 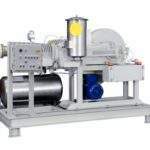 Saurus939 has all the Italvacuum experience, a vacuum pump that guarantees unrivalled performance in all the main chemical and pharmaceutical processes, ensuring total recovery of extracted solvents, even in severe operating conditions. Planex System (Patent number US 5,857,264) is a new concept multi-product paddle vacuum dryer, studied and developed by Italvacuum. Italvacuum is set to participate at INTERPHEX NY 2019, a premier pharmaceutical, biotechnology and medical device development and manufacturing event in the US. Italvacuum has announced it is going to participate at PHARMTECH, in Moscow, Russia. Italvacuum has announced it is going to participate at KHIMIA in Moscow, Russia. Leading global vacuum pump specialist Italvacuum is pleased to announce that the company is set to participate at this year's Chemtech Gujarat 2018 event for the chemicals processing industry. Italvacuum, the leading global manufacturer and supplier of vacuum dryers and vacuum pumps for the chemical, pharmaceutical and cosmetics industries, is pleased to announce it will participate at this year's EXPOQUIMIA exhibition. Global vacuum dryer and vacuum pump solutions manufacturer Italvacuum will be participating at this year's POWTECH event. 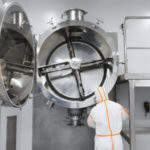 Italvacuum's LaboDry static vacuum drying ovens are designed and manufactured with a specific, detailed focus on production efficiency, ergonomic considerations and worker safety. 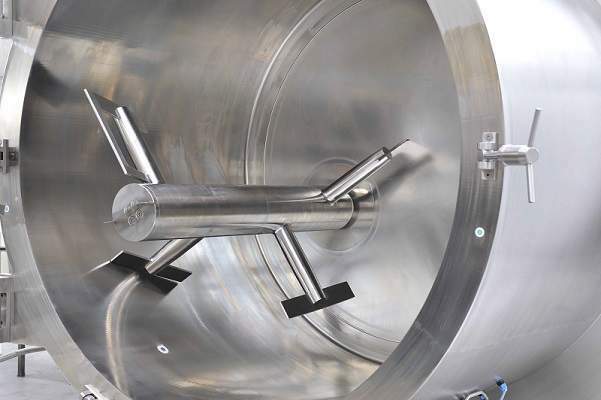 International vacuum manufacturer Italvacuum has designed and realised the new Planex System, which offers the highest levels of quality and productivity while minimising energy consumption. Italvacuum, international leading company with more than 75 years of experience in the manufacture of vacuum dryers and vacuum pumps for the chemical, pharmaceutical and cosmetics industry, is going to participate at CHEMTECH WORLD EXPO 2017, global event for the chemicals processing industry, which will be held in Mumbai, India, from 14 to 17 February. Italvacuum, international manufacturer of vacuum dryers and vacuum pumps for the chemical and pharmaceutical industry, is going to participate at PHARMTECH 2016, the largest international exhibition in Russia and the CIS. Italvacuum, international manufacturer of vacuum dryers and vacuum pumps for the chemical, pharmaceutical and cosmetics industry, is going to participate at PHARMATechExpo 2016. Italvacuum, international manufacturer of vacuum dryers and vacuum pumps for the chemical, pharmaceutical and cosmetics industry, is going to participate at Solids Antwerp 2016. Italvacuum is going to participate at CHIMEXPO AVIGNON, which will be held in Avignon (France) from 12 to 13 October 2016. 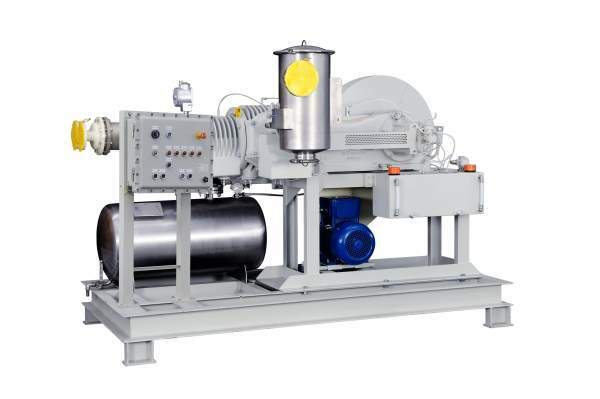 The vacuum pump uniqSaurus939 has all the Italvacuum experience, a vacuum pump that guarantees unrivalled performance in all the main chemical and pharmaceutical processes, ensuring total recovery of extracted solvents, even in severe operating conditions.ue in reliability, performance and consumption. A consolidated ever-evolving technology by Italvacuum. Best results, ergonomics, safety and flexibility for any product batch. These are the qualities that have always characterised MULTISPRAY® vacuum tray dryers, result of Italvacuum's consolidated experience in the cosmetic, pharmaceutical and chemical industry process applications. Italvacuum, international manufacturer of vacuum dryers and vacuum pumps for the chemical, pharmaceutical and cosmetics industry, is going to participate at POWTECH 2016 trade fair for processing, analysis, and handling of powder and bulk solids, which will be held in Nuremberg, Germany, from 19 to 21 April 2016. Italvacuum, international manufacturer of vacuum dryers and vacuum pumps for the chemical, pharmaceutical and cosmetics industry, is going to participate at SINOPHEX 2016. Planex® System: multi-patented paddle dryer with ZeroFriction® planetary movement eccentric agitator. International vacuum dryer and pump manufacturer Italvacuum is to attend the forthcoming CHEMTECH GUJARAT 2016 event in Gujarat, India. Italvacuum is going to attend IPB CHINA 2015, International Powder & Bulk Solids Processing Conference & Exhibition, which will be held in Shanghai, China, from 28 to 30 October 2015. 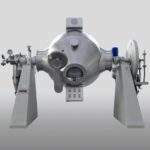 Italvacuum is a leading manufacturer of vacuum dryers and vacuum pumps for chemical, pharmaceutical and cosmetics production processes, with a continually growing number of installations in both consolidated markets and emerging areas. Maximum ease of cleaning, maintenance and internal inspection: a mix of qualities that make CosmoDry System® the ideal solution even for multi-product applications. 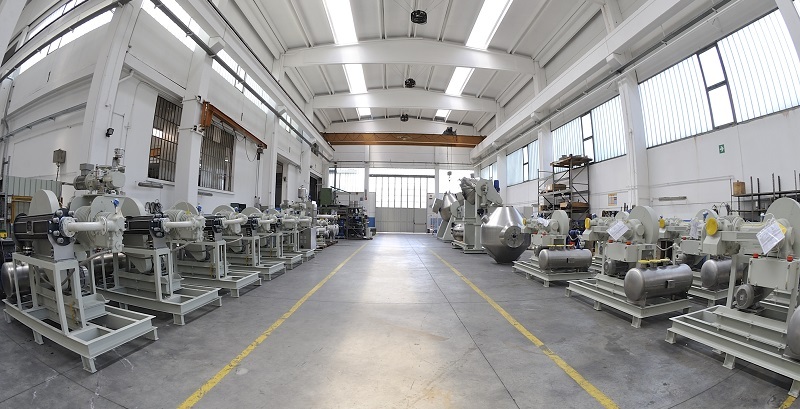 Established in 1939, Italvacuum has always manufactured industrial vacuum pumps and vacuum dryers used in the main production processes of chemical, pharmaceutical and cosmetics companies. The leading product of Italvacuum's drying technology is the CRIOX System, having achieved a great international success with more than 400 units currently installed in at least 30 countries around the world. 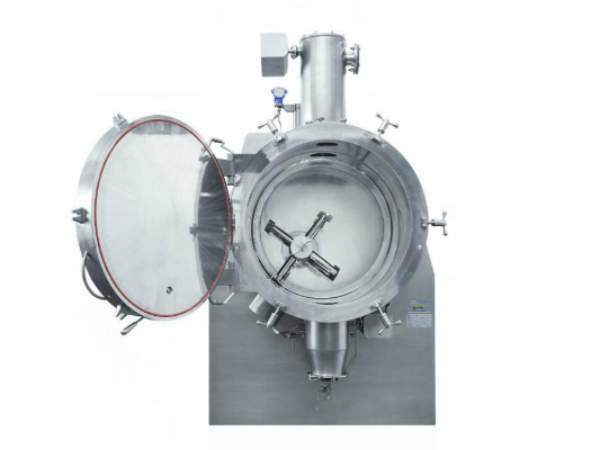 Italvacuum, one of the most known European manufacturers of batch vacuum dryers and vacuum pumps for pharmaceutical, fine chemical, chemical and cosmetics industries, has developed a wide range of cutting-edge and patented products. 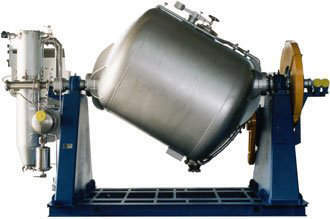 Italvacuum, one of the most known European manufacturers of batch vacuum dryers and vacuum pumps for pharmaceutical, fine chemical, chemical and cosmetics industries, has developed a wide range of cutting-edge and patented products, which comply with the main European regulations (CE, ATEX and PED) and with the ever more severe FDA rules and cGMP norms. 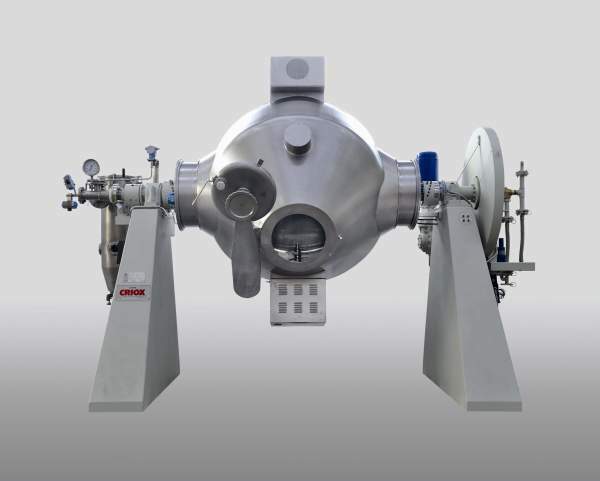 With its simple, traditional design and innovative technical solutions, the renewed vacuum piston pump Saurus939 proves its capabilities in areas such as reaction, distillation, drying and crystallisation to ensure the full recovery of solvents extracted. We are pleased to announce that Italvacuum - one of the most well known European manufacturers of vacuum dryers and vacuum pumps for chemical, pharmaceutical and cosmetics production processes - is going to participate at the following exhibitions.